Okay, so here’s the deal. I found out about this book at a small party in Santa Fe. It was recommended to me, and I’m glad it was, but it was recommended on the suggestion that the author was potentially the “next so-and-so.” While I appreciate the reference, what I found out is that this suggestion somewhat tarnished my experience with this book only because the “so-and-so” mentioned is in my opinion one of the most important, unique writers of the modern era and is SACRED GROUND for me. I think this book was all too close to being too much like my “hero,” but I don’t want you to steer clear because of this. 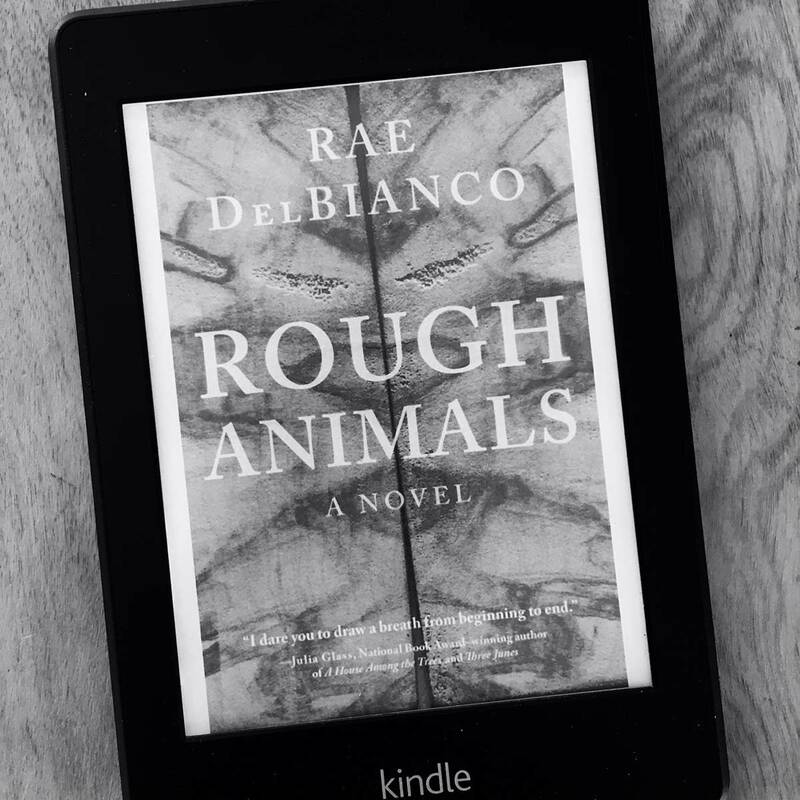 “Rough Animals” by Rae DelBianco is dark. Dark and strange. Dark and strange and violent, which is a genre of read I’ve gravitated to my entire life. Not sure why. I’m not a dark, strange, violent guy but I do enjoy reading these subjects. This is not a book you casually consume. You will sit and read until it’s done, always the sign of someone who knows how to put the hooks in you. Remember the movie Seven? During the movie you were never quite sure where you were. What city? No idea. And it rained the ENTIRE movie. This added to the power of the flick. While Rough Animals isn’t quite the same situation, there is enough of an instant start and mystery that I found myself thinking “What the f%$#” in a good way. I would take the time to read this baby. Strap in and keep your knife if your boot. Sounds like something similar to Cormac McCarthy. The imagery of “Blood Meridian” is something that still sticks with me. Thanks for all the book recommendations. I’ve come back to reading a lot more these past few years. Bingo. Blood Meridian is in my top five. Just bought it, thanks for the recommendation! However, couldnt find the kindle version??? How did you capture that cover? Not on amazon.it, neither on amazon.com! (anyway I’m not entirely unhappy about that; I’ve been buying only kindle books for the past year because of my imminent move across Europe, be back in native Italy after the summer — and I’ve missed paper books). I somehow found the Kindle version. I just hit the “go to cover” button, photograph with my phone and bingo. Done. I also miss paper, but when I’m on the road I just can’t carry paper books. I also love the library, but again, too much movement. Nothing fancy. Just went to Amazon and boom, there it was. I read every morning, at lunch and at night. When I can. My TV only streams online stuff and is broken half the time, and I don’t go online unless I have to. Eliminate these two things and you will be surprised how much time you have.